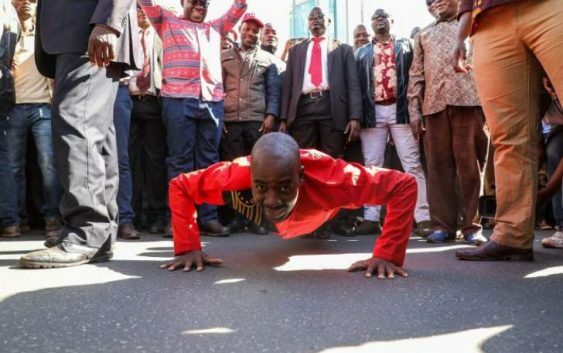 MDC President Neslon Chamisa in 2009 told the United States of America officials that the opposition mantra calling for ousted President Robert Mugabe to go was shallow and would not achieve results. In a wikileaks cable dated 14 January 2009 Chamisa said the only option to remove ZANU PF was for the United States of America to effect a military invasion in Zimbabwe. Turning to U.S. policy, Chamisa said rhetoric that “Mugabe must go” was empty and counterproductive. Regime opponents initially hoped that the rhetoric would be complemented by action. Inaction on the part of the U.S. was causing people to lose heart. Further, ZANU-PF was using U.S. statements as a pretext to crack down on the MDC and civil society, both of which it was accusing of collaborating with the U.S. to bring about regime change. We asked Chamisa what concrete actions the U.S. and international community could take. He responded: military intervention to remove the regime, indictments of Mugabe and other ZANU-PF officials in international courts, and sanctioning of the Reserve Bank. Democratic Federal Leader Mmusi Maimane is expected in the country this week to meet with MDC leader Nelson Chamisa. BREAKING: NEW DIAMOND DEPOSITS found in Masvingo province.Absolute disaster for the – 160th most corrupt nation out of 180 countries.